A measure of prosperity and peace characterize most of the world today, yet people of means and advantage remain unhappy and discontented. Abuse and uncivil behavior are distressingly the norm; violence, drug abuse, and discrimination are rampant in spite of our claims to enlightenment. The more our society calls for tolerance, the less we experience it. The more it talks about care, concern, and respect for others, the less sure we are that we know what these virtues mean. In reality, the more we look to symptoms for problem solutions rather than to root, first causes, the greater our social dysfunction. And where are most first causes found? In the inner sanctuary of the heart. In God’s Word, we read that He makes us “a new creation” through His Son. This is the message of hope TeachBeyond members take to the nations. We do this through high quality, contextually-sensitive educational programs that invite students to grow holistically into the person God created them to be. While we rejoice over glimpses of change that reflect our Creator’s design for them, we also sincerely pray for a life-altering transformation that shows “life and light” has come to that which was “dead and dark,” to use the language of Scripture. Given this mission and perspective, 2017 was an excellent year. We remain amazed at the many new opportunities and the continued effectiveness of existing ones. 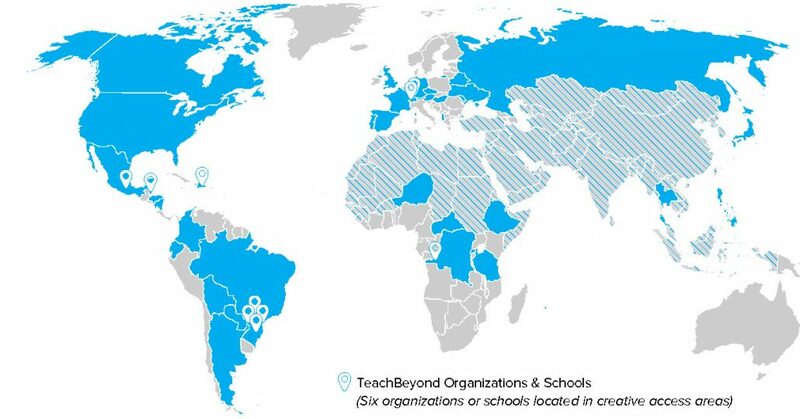 More countries adopted TeachBeyond projects, and many more educators and learners joined our community. More than 1,000 full-time and short-term people work in about 50 countries. Nevertheless, this year’s Annual Report is not just one of growth: in Germany, for example, we discontinued some of our long-standing programs and key colleagues moved on to other work. Elsewhere the global ministry continued on at a pace that will see us more than double in size during the current six-year plan. What do the numbers mean? The anecdotes and stories show us what the power of a transformational message grounded on God’s Word means to individuals and the communities in which they live. Acamp Serra are camping ministries in Brazil that provide overnight and day camps for children, teens, and families. Serving local students in the Dominican Republic starting in 2017, the school features pre-k through elementary school. 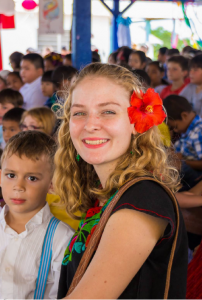 Founded in 1993 by Charlie and Judy Williams, Belize Christian Academy serves approximately 235 local and missionary students ranging from kindergarteners to high school seniors. Located in the second largest city in this South Asian country, Founders Academy provides English-medium instruction using an American curriculum. The school provides an international education that prepares local students for study at world-class universities. International Education Services is a school located in one of the largest unreached nations in the 10/40 window. Its purpose is the education of the children of families called to ministry in this country, thereby enabling them to remain on the field. New Hope was founded in 2015 with a vision to be the premier bilingual school serving the city and preparing students to positively influence their community. With a celebrated opening in 2017, Haven International School became the first of it’s kind in this southeast Asian port city. It serves as the only bilingual school in the community, emphasizing elementary education and positive community impact. Founded in Brazil in 2008, Quest develops people of all ages by educating, challenging, and serving them in an experiential adventure camp environment. 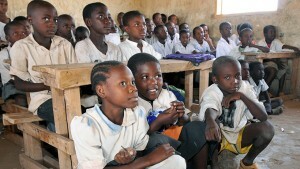 In many places in Africa, there are few resources for education. Public schools are poorly equipped, and there are often more than 50 students in a classroom, with one teacher who is overwhelmed. But scarcity also means that there is much room for improvements and space for pioneers! Our Fateb Kinshasa Academy in the Democratic Republic of Congo continues to grow, and its reputation is increasing. 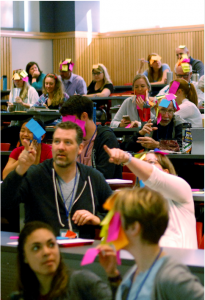 It started as a pioneer project with modest beginnings, but TeachBeyond School Start-up Consultant Tamera Peters and others are now training teachers from a number of other schools who are eager to learn how to improve their professional skills and how to integrate biblical truth in the classroom. Another pioneer is Amy Olson in Rwanda. She is working with the University of Rwanda in Kigali, on a project funded to develop the first pediatric nursing course in Rwanda. As of 2016, there were only three pediatric nurses in a country of 12 million people. In January 2018 Amy will start teaching 15 nurses in the specialty of pediatrics. Pray for this course as it launches and for Amy as she prepares for the orientation day. The goal is to decrease childhood mortality and morbidity by training specialized nurses who can provide high-quality healthcare for children in Rwanda. Only by the grace of God can this happen! We have members serving in Tanzania, Niger, Ethiopia, and other African countries as well. Through the grace of God and the efforts of our teachers, Africa will have leaders like Dalvin Mwamakula, who wrote the poem on page 5. We never imagined that the training we felt was needed for our teachers at Fateb Kinshasa Academy would spread so quickly. Our original plan was to develop the teachers who would work at FKA in the capital city of the Democratic Republic of Congo. Christy Biscocho, who had served at Wellspring Academy in Rwanda, was our main instructor. We planned to teach five to six modules over a two and one-half year period. In our first teaching module, Christian Worldview, we had our five teachers, several board members, and the school administrator. Word got around to the neighboring local schools; as we continued, other local Christian school teachers asked to join in. We have had the opportunity to include more than 100 teachers from around Kinshasa, and now requests are coming in from schools in other areas. Educators from the city of Gemena, on the coast of Congo, came to visit FKA. They were moved to tears by what they experienced, according to our key administrator, Fima Héritier. They asked if they, too, could be trained and start a school modeled after the values taught at FKA. Our hope for 2018 is to develop an African master trainer so that more teachers in Congo and other parts of Africa will learn, and transformational Christian education can take place. The change should start schooling itself in me now. • In January, the US TeachBeyond office moved from a rented space in Bloomingdale, IL to its own small building in Downers Grove, IL. • Donor Services processed more donations than ever before, up 10.4% over 2016, thanks to the kind generosity of our members’ faithful supporters. In addition, generous gifts for several global projects will enable capital projects to go forward in 2018. A year-end funds match raised almost $32,000 USD. • In June, the US office hosted three-weeks of TESOL training; a twoday orientation for our TEFL team going to Southeast Asia; a two-day SRS Bootcamp about fundraising; a one-day intensive teacher-training (JumpStart); a week-long Orientation for new members; and finally, a one-day debrief and planning day for staff serving in Canada and the US. • A second new member Orientation was held in Vancouver, BC in July. • In November, the Canadian office held a fundraising banquet in Winnipeg, MB and a concert in Steinbach. Both featured musician Danny Plett. • Over 100 new members were sent out from Canada and the US in 2017. Over 100 new members were sent out from Canada and the US in 2017, with 82% attending Ministry Partnership Development training. 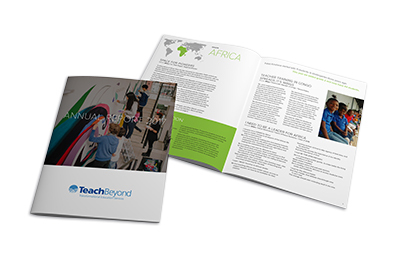 In our 2016 Annual Report, we had requested prayer for continued growth in the number of TeachBeyond countries sending out transformational educators. We are thrilled to report that we’ve seen God answering those prayers! Four countries sent out their first cross-cultural workers in 2017. In total, we had over 120 new, full-time members begin overseas service with TeachBeyond in 2017. These new members were sent out from eight different countries and serve in 29 countries throughout the world. Even as we are so grateful for those the Lord is bringing to us, we also recognize that many of our schools are currently facing significant staffing shortages that impact their ability to carry out their mission. The demand for expatriate teachers has skyrocketed as the number of international schools has doubled over the past 10 years. However, we know that there are still countless Christian educators who have not yet considered how they can be making an impact for the Kingdom by serving abroad. Please join us in praying for the Lord to raise up more Christian educators to serve with TeachBeyond so that our schools and projects can fulfill the mission to which God has called them. Over 100 new members were sent out from Canada and the US in 2017, with 82% attending Ministry Partnership Development training. There is never a single answer to how to meet the variety of needs of incoming staff with their differing circumstances, experiences, and timetables. However, today we have resources to better equip our members than we had in previous years. The Ministry Partner Development (MPD) office collaborates with Support Raising Solutions (SRS) for its Bootcamp training. The MPD staff also facilitates TeachBeyond’s online MPD course to train and equip staff for effective ministry. We had 82 percent of our new members attend training in 2017, with five veteran staff helping as MPD coaches. To equip our veteran members, workshops were held at Faith Academy (The Philippines) and Grace International School (Thailand) in April 2017. In addition, more resources are being developed and posted online, and live webinars and one-on-one coaching are available to all staff. LiveBeyond, a program of TeachBeyond Brasil, started classes in March with 20 students. They are learning to be leaders within the youth ministries of their churches through internships and missionary trips. During the program, they study content linked to the Christian faith, with different emphases and areas of practice provided through service projects and missionary journeys. These provide students with practical experience in evangelization. Participants also receive life coaching and mentoring courses for meeting life’s challenges. The program addresses questions related to young people’s understanding of their call and vocation. As participants learn more about their abilities, gifts, talents, and call, they are also getting to know God more and experiencing life transformation. All these activities allowed campers to learn about leadership from the example of Christ and to put into practice the principles learned during camp. Javier is a nine-year-old boy who started attending Belize Christian Academy in the 2015-16 school year. He came from a public school where he was bullied by his classmates. The school did nothing to remedy the situation, and his teacher thought Javier was the problem. She even called to warn us about this “problem child” transferring to our school. He was doing poorly in his academics and had no desire to attend school. When Javier entered his third grade class at BCA, his classmates immediately accepted him. Although he was withdrawn and afraid to open up at the beginning, with encouragement and unconditional love from his classmates he soon realized things were different at BCA. Soon Javier was making friends with everyone! His grades began to improve and he started looking forward to coming to school. Javier’s self-confidence was boosted and he is now excelling academically and is well-adjusted. We have not had any behavior issues with him since his arrival at BCA. He is now a year older, in another grade, and definitely not the same boy who started BCA a year ago. His parents are also very happy with his progress and have expressed that they want him at BCA for the next 10 years! With a population of more than 4.5 billion people, there are more people living in Asia than the rest of the world combined. 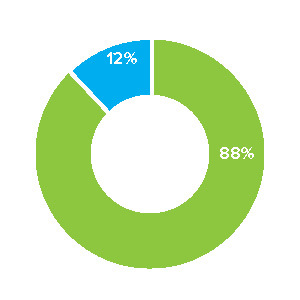 Even more amazingly, nearly half of the population is under the age of 30. There is a deep hunger and need for education throughout this region. Our Asia projects have been a large part of TeachBeyond’s growth story over the past decade. In 2017, TeachBeyond took the leadership role as the owner/operator of three additional schools that together serve over 700 students. All three of these schools are in creative access countries where Christians are repressed and represent only a small fraction of the population. In another creative access country, TeachBeyond opened a swimming school with over 1,500 students receiving lessons in this first year. The swimming school is attached to one of our bilingual schools, creating a community center for families to gather in the heart of one of the fastest growing cities in Asia. Plans for next year are to open three new swimming schools at various locations in the country, and eventually expand this to other regions of the world. The number of members serving at partner projects in Japan, Thailand, and the Philippines all increased this year. We saw encouraging growth with our LEAP (Learning English for Academic Purposes) program at Faith Academy, which supports language learning for children of foreign missionaries who do not meet Faith Academy’s entrance requirements in English. One year in, we have 10 students in this program and are seeing God work in the lives of these individuals. Praise God for transformational growth, and for the many who have come to Christ this year across Asia. Pray for the thousands of learners and educators across Asia who are a part of these ministries. TeachBeyond took the leadership role as the owner/operator of three schools that together serve over 700 students. “I heard a lot about Christians. My dad was telling me all the time that I should be careful and not have any contact with Christians. As you know, I attended English camp this year. I didn’t tell my dad that it was a Christian English camp, although my mom knew. Please pray for this young woman and another youth who had an encounter with the Lord Jesus at camp this year. Pray for their safety and protection.Pray they won’t be persecuted by family and society. The teachers in our school have gone through intensive training to improve the overall quality of education. As they learn and grow there has been a subtle but powerful change in our school and beyond. As our teachers finish their schooling for certification, we are receiving requests from other schools in dire need of teacher education. 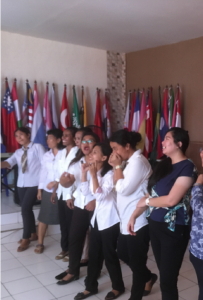 Last month we sent some of our teachers to another region of this country to provide the first of several teacher-education sessions for the faculty of five schools. These schools are educating street kids living in a major city. The teachers remarked that they were learning concepts and practices they never knew before. Most recently, we were approached by another teacher who wants to start a school in a remote village that has very little contact with the outside world. We are carefully planning how to best equip this special leader. As we reflect on the past year, we are astounded that we can partake in these ministries! Europe has seen several stable decades after World War II. Now, the landscape seems to be shaken. Terrorists have hit sensitive targets in European capitals. Nationalist parties have gained ground as never before, and some political leaders are gaining influence at the expense of personal and political freedom. In this context, Christian schools like Léman International Academy (LIA) in Geneva provide a place of stability and good values. LIA offers a bilingual (French/English) education with a solid, biblical foundation focusing on the whole child. Every teacher is dedicated to teaching the love and truth of Christ. High-quality academics are critically important, and students are introduced to biblical principles through the actions, speech, and daily lives of their teachers. This past year, LIA added so many new children that the classrooms are completely filled, with a need for new and larger facilities. Please continue to pray for the funding for new classrooms, as well as favor with the Swiss government as LIA seeks permission to expand. 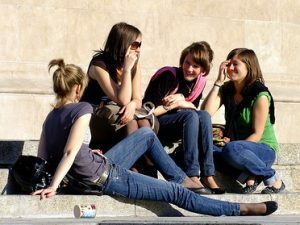 There is an interest to start a bilingual school near Basel, and a church near Paris is interested in starting a school as well. A growing area of ministry is helping with religious education, part of the curriculum in public schools. In Serbia, TeachBeyond arranged financing to produce written materials and a DVD about Jesus’ parables for religious education classes. Over the past year, we have seen tangible examples of God’s faithfulness to projects that began prior to 2017 and are now being completed. Much like the year before, Black Forest Academy is experiencing a season of change as new norms are established—each with its own amount of excitement, apprehension, joy, and adjustments. We are grateful we serve a God that is immensely bigger than our own abilities and understanding. The completion of construction on the main building brought our middle school back to our Kandern campus. Our hopes of a reunified campus, improved learning spaces, and better access to facilities for our younger learners has been realized through God’s provision. This year has also brought changes to the high school with the Cambridge IGCSE curriculum, as we continue to improve our academics and prepare graduates for life beyond our walls. Mindful of ever-growing needs, regulations and opportunities, BFA also launched the first Annual Fund, and we are thankful for God’s ongoing provision towards initiatives and construction in the future. We welcome your prayers and support for our school community as we continue to daily walk by faith. • Lingo Camp hosted 100 students with most from non-Christian homes. Many campers made decisions to read the Bible, pray, and go to church. Many made the decision to follow Christ. • The Taekwondo Club continues to be hosted by Ion Postu, the president of Taekwondo Moldova and Cognita. Ion is a world champion Taekwondo competitor and a follower of Jesus. Beyond the sport, many are transformed by God through training and Bible study, and often they decide to follow Jesus. • Strong families build strong societies. Motivated by this truth, our partner, Alexandru Catana, is organizing family camps. 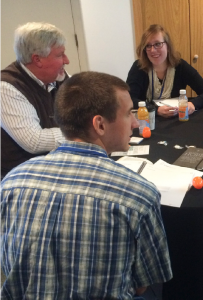 Participants learn useful parenting skills and some decide to follow Jesus. • Mihai Taran, the pastor of Antonesti, started a cooking program at the church for girls who want to apply for a professional cooking school. • Valeriu Midrigan organized VBS events in three locations this year. Many students decided to attend Sunday school after VBS ended. • Nigel and Helen Spencer were speakers at the Godly Play conference in the towns of Anenii Noi and Antonesti. 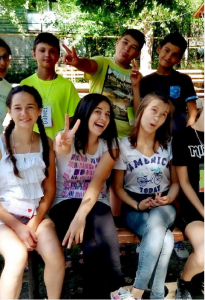 • Liliana Malancea and Diana Taran work as leaders in day centers for inclusive education of children with learning difficulties where they learn about God’s love. • The Music Program moves students closer to God as they worship Him while traveling to different churches with Gospel programs and their instruments. • Craft clubs in Todiresti and Tudora are attracting boys who are fond of crafts, helping us build relationships in which we can explain the Gospel and the love of Jesus. Higher Education Services formed the Centre for Transformational Teaching and Learning during 2017. Dr. Wyndy Corbin Reuschling is the Academic Dean of the Centre and Collette Hines is the Assistant Dean of Teaching and Learning Technology. Other positions will be added soon. Our first project is to deliver a Master of Education in Transformational Leadership degree program focused on Christian principles, global perspectives, and inclusive values. The program is easily contextualized and aligned to any country’s professional standards, and is delivered through partnerships with accredited universities in North America that can provide faculty, technology support, library access, and residential facilities. Prospective students include Pre-K to grade 12 teachers interested in leading schools or teaching in higher education, and missionaries interested in starting new schools. Within two years, students completing the program are prepared to be competent in four leadership areas. The program comprises in-country residencies and online modules, so that students can maintain their employment while they earn their master’s degree. Students also have the option of completing three modules for a certificate or concentration, or a stand-alone module for professional development. From my start over six years ago, I have had a positive relationship with TeachBeyond. God used prayer to confirm that this was the organization He wanted me to partner with. Various members from TeachBeyond have made themselves available to help me over the years and one key component has always been prayer. I am in the process of healing from a rather sudden exit from overseas ministry for a variety of reasons. This sudden and unexpected transition had the potential to devastate me and cause irreparable damage. That may sound dramatic, but my sending church, TeachBeyond, and I were not on the same page, which required me to submit to authority and return to the United States. I am beyond blessed and thankful for the lifeline that TeachBeyond’s Member Care Department provided for me during this painful and confusing transition. We communicated weekly while I was in Bolivia and continued to communicate after I returned to the United States. They were (and continue to be) a source of truth, hope, life, and encouragement; constantly pointing me back to God, His love for me, and His call on my life to serve overseas. • English camps and English Intensives were held in Germany, Moldova, the Philippines, Eurasia, Portugal, with new projects in Argentina, Southeast Asia, Central Asia, France, and Brazil. • Thirty campers came to faith in Christ in Germany at four camps; in Portugal, there are now eight new believers; and at new partnership camps in Rio de Janeiro and Brasilia, five new believers. • The work in the Philippines is growing, with English Camps and now English Intensives (LEAP) helping Asian students prepare for attending an international school. • Camps in Eurasia, Central Asia, and Southeast Asia gave churches and schools an opportunity to do outreach and ongoing discipleship following camp. • We now have partnerships with several North American universities for placing interns in our programs. They serve alongside TeachBeyond project leaders teaching English or doing intercultural studies. Included in their preparation is a new pre-field training for short-termers. • We’re tapping the global demand for learning English by developing English language centers with a sustainable business model and professional development for teachers. These will be launched in 2018. Teacher Education Services joined with Transformational Education Albania in April 2017 to present workshops on transformational Christian education to over 100 teachers and school leaders. Most of these teachers work in public schools, but some have roles in private schools or church contexts. One of the most exciting things to come out of this conference was to see the vision for Christian schooling that the Lord has put on the hearts of influential church and school leaders in cities around Albania. Since April, at least one Christian primary school is now registered and ready to open in 2018. Additionally, schools in different areas of the country are in the planning stages. Albania is just one of the European countries seeking to invest in the professional development of its Christian teachers. In 2018, we have conferences planned for teachers and key school leaders in Switzerland and Belarus as well! Please continue to ask the Lord to raise up key leaders for Transformational Education Albania and other TeachBeyond partner organizations around the world. The harvest is plentiful, but the workers are few. Several new schools opened in 2017, including in Boca Chica (Colombia), San Francisco de Macorís (Dominican Republic), and Mexico City (Mexico). We also worked with established schools in creative access countries that asked us to assume ownership. Fortunately, school services has a variety of consultants who have been working with these schools and 40 others on school improvement, school board training, accreditation, curriculum upgrades, teacher training, and general consultation. Three new resources were introduced during 2017. These are an online Consultants’ Board, a manual on planning and conducting a Christian Educators’ conference, and a manual on how to start a school. Teacher educational services made several improvements to the K-12 Leadership education program and put it online to maximize the number of people who could benefit by this instruction. The online offering of this program will begin in January 2018 with a cohort of 14 participants. In 2017, God was present in all these projects, transforming lives according to His perfect purposes. TeachBeyond continues to have many more opportunities than we have workers. Our prayer in 2018 is for more workers for the harvest. A teacher became a follower of Christ in Southeast Asia. A board member unexpectedly “lost” his wife to cancer but didn’t lose his faith or commitment. Four gifted, new team members joined the local office in which I am sitting as I write this report. Children and teens came to Christ in Moldova. A new camp was started in Central Asia. Two new schools were started in Central America. Amazing gifts were given for a school project in France. An American university was willing to anchor our graduate program. Six new supervisors were trained for English Camp work. Another floor was added to an already impressive school campus in Germany. A Child Protection policy was adopted. 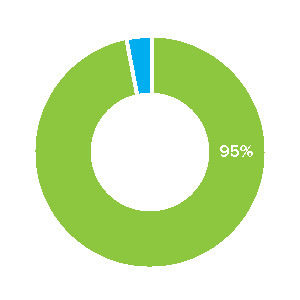 Over 100 new, full-time members were sent from Canada and the United States. Six countries outside North America sent people to serve in other countries. A beautiful new school building was dedicated in Southeast Asia. A national leader who had a heart attack is mercifully rejoicing in service today. God is meeting the needs of an employee who needed an extended leave to regain strength. More than ten thousand people gave generously and sacrificially to this ministry because they believed God is using transformational education to draw people to Christ. …and I have just begun to count. Join me in praising God for His goodness to us. A generous alumni member made a $20,000 USD gift to legally register our NGO in a strategic country in Southeast Asia, allowing us to finalize our legal registration, obtain visas, and establish partnerships. Our UK office secured two grants totaling £16,000 that enabled TeachBeyond to continue the teacher education program in South Asia. Our English Camp ministry in Central Asia received a $11,000 CAD grant from the Voice of the Martyrs to help fund camps where many heard the Gospel for the first time. A new partnership was formed with Kingdom Missions Fund, which awarded us a grant to meet physical and spiritual needs in Moldova through our English-Camp ministry. Through private sponsorship, a total of €35,000 was raised to support the development of transformational education in the Balkans, the Leadership Centre in Germany, and Léman International Academy in Switzerland. Our TeachBeyond Germany office raised €18,500 to continue the support of our strategic initiatives in Eastern Europe. Arbor Christian Academy in the Dominican Republic successfully completed their Block by Block Campaign that raised over $52,000 USD that will enable the school to build a second floor and greatly increase student capacity. 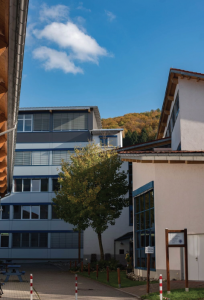 In May, Black Forest Academy launched the school’s first Annual Fund to provide opportunities for BFA supporters to donate funds to various projects and the ongoing support of the BFA ministry. Our UK office received three grants for £12,000 to support operations and facilitate the continued growth of TeachBeyond in the UK. 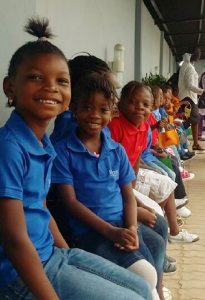 A leading American-based foundation has continued their partnership with TeachBeyond’s work in Africa by generously supplying critical startup funds for a school we hope to launch in September 2018. Our annual fundraising banquets in Manitoba provided over $30,000 CAD in donations to help continue to fulfill our vision of transformational education. Our US/Canada Board initiated a matching gift campaign that raised over $32,000 USD for our Global Impact Fund which will be used to help provide training for our leaders around the globe. Our Plus3 Extended Giving Campaign saw a record number of donors continue giving for an additional three months or longer to help send more quality missionaries like the ones they supported. An urgent, time-sensitive fundraising campaign successfully provided necessary funds to make government-mandated repairs at our Gramado camp facility in Brazil. many others to join what God is doing through transformation education. * All numbers are rough estimates based on local reports. 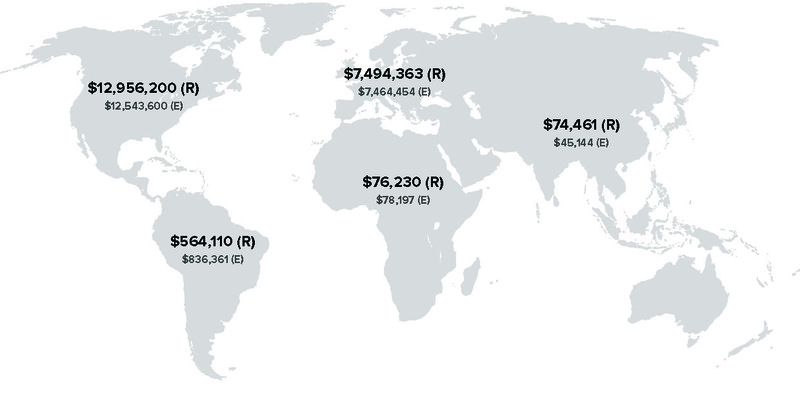 Numbers shown are in USD equivalent.